45 River St., Millbury, MA. We welcome you to join us for a regular series of informal presentations and discussions on topics of interest to heathens and to anyone with a passion for Norse-related topics. Our sincere hope is that this venue might become a regular meeting place in central New England for people who share our passion for all things Vikings. Generally, each session consists of a presentation, a Q&A discussion session, and a meet and greet afterwards. Admission is free. Runes and magic blend, and their use extends well beyond the Viking age in northern Europe. In this presentation, Teresa will discuss her current research in the archaeology of the occult, including the study of the grave and grave finds of a völva (Viking-age seeress) burial. Teresa is currently a student at the University of Iceland and formerly was with Árna stofnun, the manuscript institute of Iceland. Teresa will join us at Hurstwic electronically, in a real-time interactive connection from Iceland. It will be a test of what we hope will be a regular series of lectures by Icelandic specialists and experts. We extend an invitation to scholars and students in other groups in the area to consider presenting at a future session. We're eager to have a range of viewpoints in this study group. For more information about Hurstwic, please look at our introductory YouTube video, and browse our webpage, and our extensive collection of articles on Viking-age topics. Religion, Myth, and Cult in the Viking Age, presented by William R. Short on April 4, 2016. Runes - An Introduction and Then Some, presented by Ethan C. on May 2, 2016. Modern Heathenry: History, Influences, and General Beliefs, presented by Matthew Nachtrieb on June 6, 2016. Life After Death in the Viking Age, presented by William R. Short on July 11, 2016. Alfs, Trolls, and Other Beings, part 1, presented by Ethan C. on August 1, 2016. Heathenry Today: Where Have Our Roots Led Us?, presented by Staci Graves on September 12, 2016. Time and World: Passage of Time and Seasons in the Ancient Heathen Worldview, presented by Matthew Nachtrieb on October 3, 2016. The Coexistence of Heathenry and Christianity in the Viking Age, presented by William R. Short on November 7, 2016. Home for the (Heathen) Holidays, presented by Emily Randall on December 5, 2016. A double feature on January 10, 2017. A very special meeting on February 6, 2017. 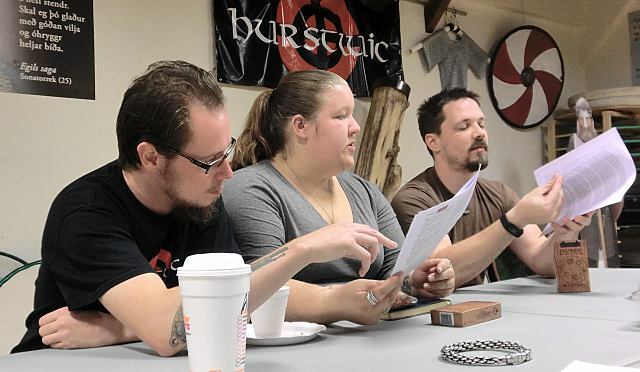 Heathen study group participants joined Hurstwic cast and crew for a screening of Hurstwic's new film, The Final Battle of Grettir the Strong, based on Grettis saga and shot on location in Iceland last year. The film was released in spring, 2017. A trailer for the film is shown to the right. A night of games and fun on March 6, 2017, led by Hurstwic special advisor Reynir A. The Walking Dead in the Sagas: Zombies of the Viking Age, presented by William R. Short on April 3, 2017. The Heathen Soul, presented by Matthew Nachtrieb on May 1, 2017. Roundtable Discussion on June 5, 2017.
a wide ranging discussion on a variety of topics that covered the gamut from modern Ásatrú to comparisons with other world religions and beliefs to law and society in Viking-age Iceland to elder care in the Viking age. Alfs, Trolls, and Other Beings, Part 2 - Dwarfs, presented by Ethan C. on July 10, 2017. Snorri Sturluson tells us in Gylfaginning that the dwarfs began as maggots in the rotting flesh of the giant Ymir, and that the gods endowed these beings with reason. Yet other sources paint a different picture. Who were these beings, and where do they fit into the nine worlds of northern mythology? 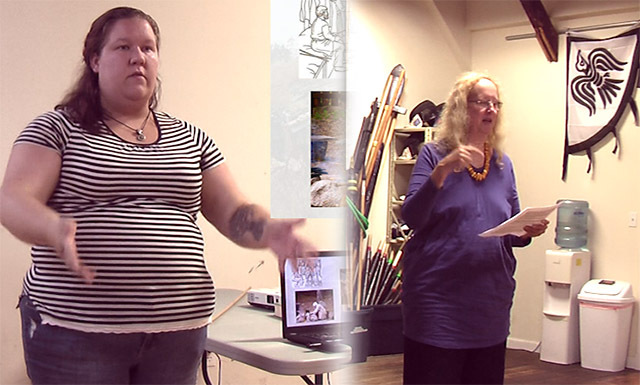 Women in the Viking Age, presented by Staci Graves and Emily Randall on August 7, 2017. Loki: How I Learned to Stop Worrying and to Love þetta reddast, presented by Barbara Wechter on September 11, 2017. Through study of the eddas, we learn that Loki is more than a mischief maker, he is also an innovator: by embracing the chaos and struggle in life, you can grow. Roundtable Discussion on October 2, 2017. Matthew Nachtrieb led a roundtable discussion of the paper Hedenstierna-Jonson C, Kjellström A, Zachrisson T, et al. A female Viking warrior confirmed by genomics. Am J Phys Anthropol. 2017;00:1–8, and of the media and internet broohaha that resulted from the publication of the paper. We discussed what is known and what is not known relating to the Viking-age topics covered in the paper, and we discussed how to find good sources for research, and ways to distinguish good material from rubbish. The Poetic Edda and Eddic Poetry, presented by Dr. William R. Short on November 6, 2017. The Hurstwic Heathen Study Group Yule Feast, on December 28, 2017. The Wild Hunt: Furious Hosts and Shadow Processions, presented by Trish Basford on January 8, 2018. European folklore is rich with tales featuring the Wild Hunt. This presentation is intended as an introduction to the complex collections of legends featuring these ghastly entourages, with an emphasis on the Norse versions. Theories surrounding the origins of the hunt are explored from a heathen perspective. Do You Want Me to Turn Towards You?, presented by William R. Short on February 5, 2018. The first in a series of roundtable presentations based on classic episodes from the Sagas of Icelanders. In these discussions, we plan to look at what lies below the surface of the sparse descriptions of the sagas. We will pick an interesting episode, read the passage, and discuss what was left unsaid: points that would have been clear to the original saga audience, but which may be obscure and confusing to a modern audience. This detailed look will lead to better understanding of the people of the Viking age and their society and culture. In this first presentation, we plan to look at Gísli's revenge killing of Þorgrímur, told in Gísla saga. Join us for this informal color commentary on the incidents related in the sagas. An Informal Roundtable Discussion, led by Staci Graves on March 5, 2018. An informal discussion of topics related to Viking-age beliefs and practices in the northern lands, and how they are reflected in modern beliefs and practices. Trolls in the Viking Age, presented by Dr. William R. Short on April 2, 2018. The word troll is used to describe many different kinds of entities in the sagas and eddas, including the expected supernatural creatures such as giants, as well as witches and more-or-less normal humans. What did it meant to be a troll? What distinguished a troll and other paranormal creatures in the ancient northern society? Food and Feasting in the Viking Age, a roundtable discussion led by Staci Graves on May 7, 2018. An informal discussion of how Viking-age people kept themselves nourished and how they celebrated important milestones with food and drink. 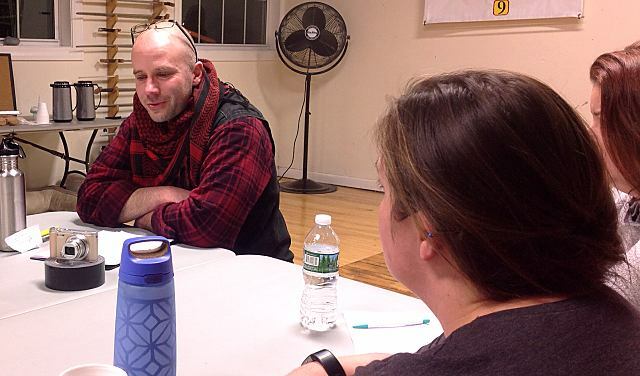 Forging Relationships within the Heathen Community, a roundtable discussion led by Ethan C. on June 4, 2018. 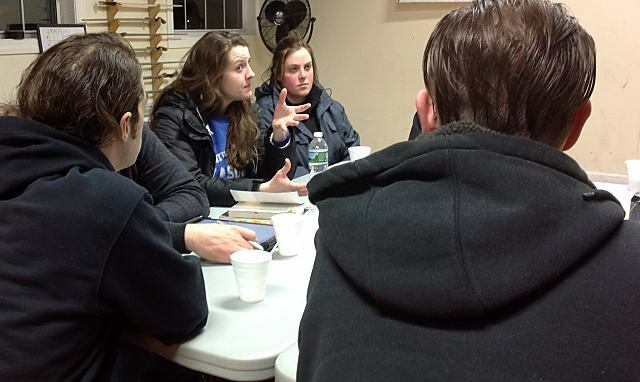 How do modern heathens build their community and forge relationships with other groups? How do we open doors and break down barriers between people who share our interests and beliefs? In this discussion, we looked at various concrete proposals, some of which are already being put into motion. Mead Making - Then and Now, presented by Emily Sandblade and Kyle Marrotte on July 9, 2018. 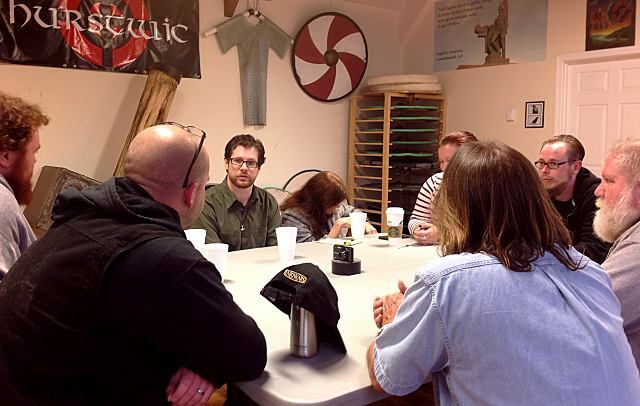 An informal presentation on making mead in the Viking age and in the modern era. Kyle started with a discussion of what mead is, the importance of mead to Norse culture, and how mead was brewed in Viking times. Then, Emily jumped forward to modern times, and discussed how to make mead today: obtaining the equipment, the consumables, and walking through the steps needed to make your own home-brewed mead. Forging a Mythic Past: Searching for National Identities through Folklore and Mythology, presented by Patrick Bessey on August 6, 2018. In the 19th century, amid the movements of Nationalism and Romanticism, scholars across Europe began looking back to ancient folkloric and mythological traditions to create modern works of lore, infused with nationalistic pride. In this presentation, Patrick talked about these movements and the artistic works that resulted, with particular focus on the Brothers Grimm, The Kalevala, Wagner's Ring Cycle, and the writings of J.R.R. Tolkien. The Modern Practice of Ásatrú, presented by Devin Rogers on September 10, 2018. In this roundtable discussion, Devin Rogers, a member of the New Vinland group, led a roundtable discussion on the modern practice of Ásatrú, talking about the beliefs and practices of modern heathens who seek to follow the old ways and touching on: ethics; basic theologies and cosmologies; and ritual and structure of modern Ásatrú. The Norse Discovery of America, presented by Gregory M. Lott on October 8, 2018. The Sagas of Icelanders describe the colonization of Greenland by Erik the Red and the subsequent discovery of land further west by his son Leif Erikson. Leif would name this new land "Vinland the Good." In this presentation, independent researcher Gregory M. Lott revisits the work done by Norwegian explorer and author Helge Ingstad and his archaeologist wife, Anne Stine Ingstad. Their extensive effort would demonstrate how Europeans visited North America nearly 500 years prior to Columbus. What Did the Vikings Sing? Reconstructing Norse and Viking Music, presented by Lynn Noel on November 5, 2018. 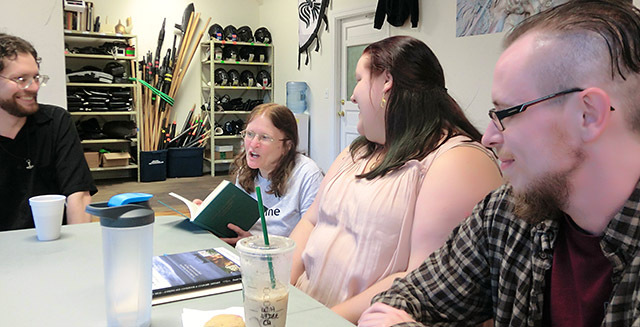 In this presentation, Lynn Noel, a professional musician and heritage interpreter, gave a recorded and live performance demo/discussion of 8th-11th century Norse music as historically informed performance. 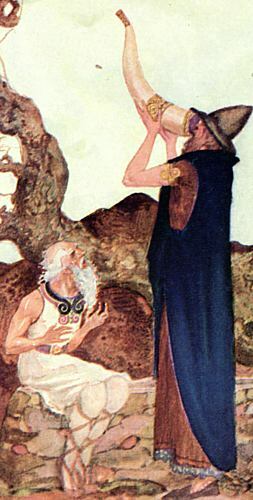 She reviewed primary manuscript sources, archaeological finds of musical instruments and the luthiers reproducing them, traditional Scandinavian song and chant traditions that complement Icelandic saga and Eddic poetry, and contemporary artists reinterpreting the saga tradition on tour and on television. 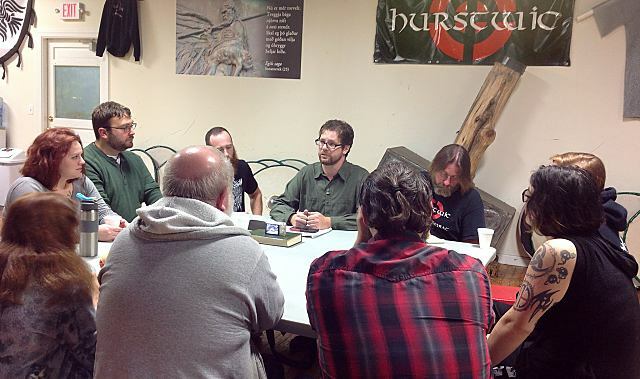 Hurstwic Heathen Study Group Yule Feast, on December 3, 2018. An Examination of Lið: Then and Now, presented by Ethan C. on January 7, 2019. Ethan C led a roundtable discussion on group identity in the Viking age. Lið is a word used to describe many kinds of Viking groups, from war parties, to various cohorts that banded together for mutual aid. Ethan discussed the impact of group identity on these groups in the Viking age, comparing it to shared identity in groups today, such as veterans' groups. A brief audio summary of the contents of the discussion by Ethan C.
In a recent Hurstwic Heathen study group meeting, independent researcher Gregory M. Lott discussed the work done by Norwegian explorer and author Helge Ingstad and his archaeologist wife, Anne Stine Ingstad in Newfoundland, Canada. Their extensive efforts demonstrated conclusively that Norse explorers visited North America about 1000 years ago. In this presentation, Mr. Lott reprised some of this material, and then presented additional information about other far-fetched and fraudulent Viking sites in North America, as well as about serious work currently being done at other potential Norse sites in North America. Most people are unaware of the runic material found in Iceland, dating from the earliest part of the 9th century settlement, through to the early 20th century. Icelanders even modified the younger futhork to meet the needs of their own language. The presentation begins by reviewing the elder futhork and the younger furthork and the rune poems that provide insight into their meanings, and then looks at the Icelandic material, including the Icelandic futhork and the Icelandic rune poem. 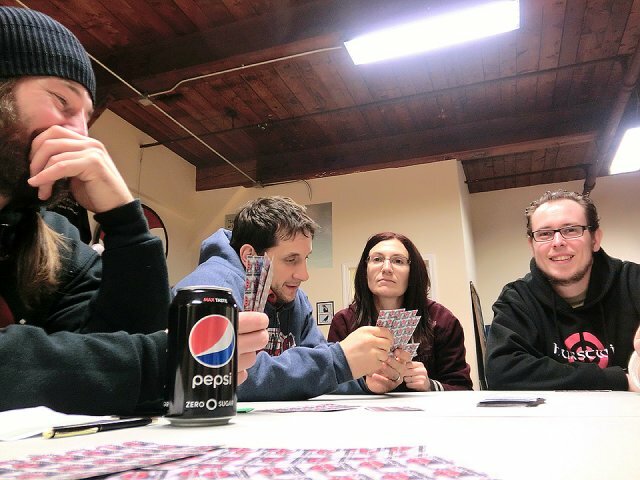 We play-tested the new rune-based card game Rúnaspili, from Iceland. 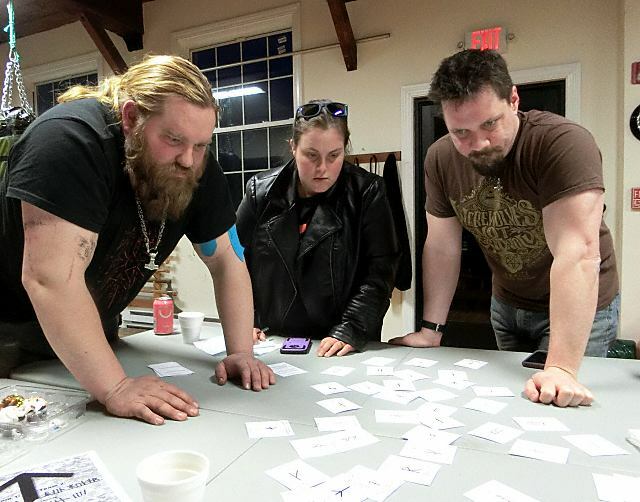 Two teams of players work together to solve the rune-based puzzles to win the game. It was an enjoyable game, and we all walked away at the end of the evening with a new and more profound knowledge of the runes.